We are overjoyed to announce that our lease on the Princess Square shop has been extended to 2026.This is an extremely generous provision by the companies behind Bracknell Regeneration Partnership. It ensures that we can continue to provide the community with what has proved to be an essential service, well into the future of the Lexicon development. 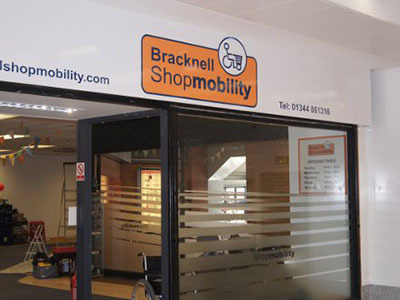 It is important that there is equal access to the new town centre and this will now certainly be the case for many visitors to Bracknell who have mobility issues.Our thanks go to the Directors and Boards of the companies responsible for this generous decision.